First of all, a few practice GMAT Critical Reasoning questions of this particular genre. 1) Studies have shown that highway drivers are less likely to drive at speeds greater than the posted speed limit if houses or buildings are in some way visible from the road. Assuming similar car, road and traffic conditions, highway drivers are more likely to drive at speeds in excess of the posted speed limit if the natural surroundings are not interrupted by buildings. Psychologists hypothesize that seeing signs of civilization reminds drivers of their responsibility to the safety of their fellow humans, thus making them more likely to obey the posted speed limit. Which of the following, if true, most strongly supports the psychologists’ interpretation of the study? (A) People who live in sparsely populated areas are more likely to buy cars that can drive well in excess of any speed limit. (B) Highway drivers passing a large plowed and cultivated field are more likely to obey the speed limit than those passing large field of wild flowers. (C) Traffic tends to be more congested around towns and cities. (D) Drivers are equally likely to obey the speed limit whether driving past a town with or without tall buildings. (E) Highway police officers are more densely located close to towns and cities, and therefore most citations for speeding are issued in these locations. 2) Bottom trawling is a type of deep-sea fishing that involves dragging a large net along the bottom of the ocean, and it results in catching and killing many unintended species, some of which are endangered. Environmental advocates, concerned for these endangered marine species, have recommended that commercial fishers use a new set of nets, each designed specifically for the size and shape and pheromones (chemical attractors) of an individual marine species targeted by the commercial fishers. Environmentalists hope use of these new nets will protect the endangered marine species without interrupting commercial deep-sea fishing. Which of the following, if true, most strongly supports the claim that the use of the new nets will have the intended effects? (B) Some endangered marine species are particularly large, as large any species targeted by commercial deep-sea fishing. (C) Most of the newly designed nets are not significantly more expensive than a typical bottom trawling system. (D) Catching unintended, endangered species adds nothing to the profits of a commercial deep-sea fishing company. (E) Freshwater fishers often increase the odds of catching a desired fish, and avoid catching unintended species, by the specific design of the fishing hook. 3) Baseball Analyst: Since the 2000 season, the average number of strikeouts per player has dramatically increased in Major League Baseball. The 2011 and 2012 seasons have the highest averages on record. Some writers have argue that batters, trying to hit homeruns at the same elevated rate at which they were hit in the “steroid” era, are taking increasingly larger swings, making them that much more vulnerable to striking out. But the real reason is enhanced video review. Pitchers are not necessarily any more talented than in the past, but they all watch video on each and every batter, studying his unique weaknesses, and, well-informed, are better able to exploit those weaknesses in game situations, even weaknesses of those batters with more compact swings. 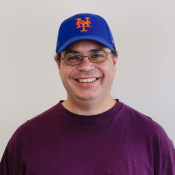 Which of the following, if true, most strongly supports the baseball analyst’s argument? (A) Both the total number of homeruns and the average number of homeruns per batter have decreased steadily since 2000. (B) Batters who hit more singles and have shorter swings strike out, on average, far less than the power hitters who are trying to hit homeruns. (C) Baseball bats now, on average, are much lighter and easier to swing fast than were bats of fifty years ago. (D) Most batters also watch video of each and every pitcher, learning to detect what pitches he throws and how he releases each pitch. (E) Catchers and pitching coaches watch the same video that pitchers watch, and they are in a position to advise pitchers on different batters throughout the game. Explanations will follow this article. First of all, let’s review how an argument is constructed. The goal of any argument is to get you to believe something or agree with something — that “something” is called the conclusion of the argument. Most of the time, an argument cites one or more premises, that is, evidence that supports the conclusion. Often, between the premises and the conclusions, there’s an unstated logical link: the assumption of the argument. I think San Francisco is the most beautiful city in the US. It is set in the middle of a beautiful natural setting. As much as I agree with this conclusion, I readily admit that a considerably stronger argument would be required to persuade someone who was at all skeptical. Ultimately, this is not the best ground one which to argue at all, because as the old phrase tells us: de gustibus non est disputandum. Roughly, there are four broad approaches to strengthening an argument. B. Strengthen the assumption: directly affirm the truth of an assumption of the argument, or provide evidence or support for an assumption. D. Weaken an objection: use any of the weakening techniques on an implicit or explicit objection to the argument. 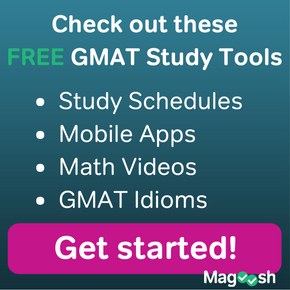 The GMAT loves to give us Critical Reasoning arguments with more than one voice, more than one view. A says: B explains X by P and Q, but the real reason for X is not P and Q but R and S. Make sure when you have to strengthen an argument, you are strengthening the argument of the speaker or narrator, not of someone else cited in the course of the argument. For example, in the third question, the Baseball Analyst cites an alternative view before presenting her own view. Tempting wrong answers will strengthen the view she cites, rather than her own view. As always, on GMAT CR, read carefully: very precise stipulations in the prompt can make the difference between a powerful strengthener vs. something that’s totally irrelevant. As always, beware of answers that do the opposite: for example, when you are asked for a strengthener, at least one of the answers is usually a weakener. As always, don’t be tied to literalism: GMAT CR is about logic, and something may resonate with the logic of the argument even if it uses different words to state an idea than does the prompt. Do what you can to anticipate types of strengtheners, but always be ready for an out-of-the-box consideration, something you weren’t expecting, weren’t looking for, but which works better as a strengthener than any of the other answer choices. 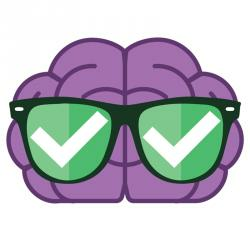 If you had any insights while reading this blog, you may want to revisit the practice questions at the top before reading the solutions below. If you have any thoughts or questions, please let us know in the comment sections at the bottom of this page. 1) The credited answer is (B). If signs of civilization make highway drivers more likely to obey the speed limit, then (B) provides further. A plowed field, unlike a field of wild flowers is evidence of civilization, and if also this causes drivers to obey the speed limit, that’s independent confirmation for the psychologist argument, a good strengthener. The argument explicitly says it is equalizing for car & road & traffic conditions, so that nullifies choices (A) & (C). Choice (D) cites the heights of buildings, which is irrelevant, not cited in the argument and not pertinent to its logic. Choice (E) is a weakener: if obeying the speed around towns has to do with traffic cops, then that’s an alternative explanation for the evidence, which takes away credibility from the psychologist explanation. 2) The credited answer is (A). If the pheromones in the nets simultaneous attract the fish sought by the commercial fishers, and repel the endangered marine species, that kills two birds with one stone! It’s good for the commercial fishers, and it does what the environmentalists want: a win-win scenario! This is a very clear strengthener. Choice (B) talks about the large size of some of the endangered species. The nets are quite specifically designed for individual species, some of which are large or small. IF anything, a large endangered marine species would not be caught in any of the nets designed for much smaller animals. Even if it suggests the plan would work for these few large species, that doesn’t indicate whether the plan would be successful overall. This is not a particularly compelling strengthener. Choice (C) is tempting — if the new nets were really cheap, that would help the commercial fishers, which is one of the goals. We have to be careful here. Choice (C) begins “most of the newly designed nets …” Saying that most are not expensive strongly implies that some are, and this would be problematic for the commercial fishers. This does not support all the claims. Choice (D) indicates very broadly that protecting the endangered marine species could be compatible with the business interests of the commercial fishers, but this tell us zilch about whether this particular plan, involving the new nets, will work at all. Choice (E) presents an argument by analogy: freshwater fishers use different hooks to target individual species, much as this plan proposes using different nets. This suggests in a general way that this plan could work, but it doesn’t make clear that the new plan involving the nets definitely will work. 3) The credited answer is (E). If the information in the videos really helps pitchers, then having other individuals who help the pitcher to remember and use all that useful information would make the pitcher even more successful. The prompt more or less tells us choice (A) — homeruns were “elevated” in the “steroids” era, and are not now. It doesn’t strengthen the argument to tell us something we already know. We want to explain an overall increase in strikeouts, so information about some group that strikes out less than other, as choice (B) provides, does not strengthen the argument. Furthermore, even given that different groups strikeout at different rates, this sheds no light on what might be responsible for the overall increase in strikeouts. The time period of choice (C) does not match the prompt, and it’s unclear what role increased bat speed would have. Choice (C) is not a strengthener. Choice (D) is interesting. If batters watch videos, and if those videos help them just as much as they help the pitchers, then theoretically, the batters would strike out less frequently. If we follow this argument, it’s a weakener, not a strengthener, because it presents an argument about why enhanced video review might not explain the rise in strikeouts. Option C in case of 2, I have another approach but I am not sure whether it is valid, would you please help check ? The question states which can support that use of new nets will arrival it’s exception. I think this stem need a strengthen based on use of new nets, so I wont consider whether fishers use new nets or not. So I did not pick up C.
my approach is far away with yours, I am not sure whether mine is valid. I agree with your reasoning here — the argument talks about whether using the nets will have the intended effect, so it seems we should assume that the nets are being used. Whether the nets are cheap doesn’t tell us whether they will have the intended effect. So, for this type of problem, we are looking for the answer that “most strongly supports” the claim. Please note that we are not looking for the best (and most perfect) overall support, but the best amongst the choices. Note if the answer was a clear “best” support, then everyone would be able to solve it easily. We’re looking for the answer that can best help us. This answer is telling us that “pheromones that would most attract the food species sought by commercial fishers indicate the presence of a dangerous threat to most of the endangered marine species.” This means that endangered species will be repelled from the nets that use these pheromones, furthering the case that the endangered species will benefit and the fishermen will benefit. So, its a good support! Just to add to it, I probably read the choice (A) more GMATically I believe. In question 2, option A says , The pheromones that would most attract the food species sought by commercial fishers indicate the presence of a dangerous threat to most of the endangered marine species. but it didn’t said that pheromones in the nets simultaneous will repel the endangered marine species . can u please help, m i not able to comprehend it correctly. This is something true throughout the animal kingdom. Any time any animal is able to sense the presence of a predator, another animal that would pose a threat, then the animal always flees. Here, the “endangered marine species” sense, somehow, “the presence of a dangerous threat.” Nothing in nature is a stronger repellent, a stronger deterrent, than the presence of a dangerous threat. Does this make sense? it is great to know them. I would say — worry less about making neat categories. 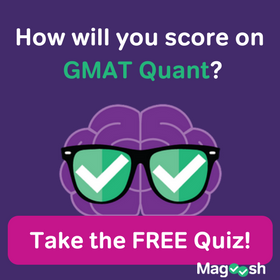 If you have a formulaic approach to the GMAT CR, the GMAT will mercilessly punish you. While it’s important to have these in mind as options for possible weakeners, you always have to be flexible. 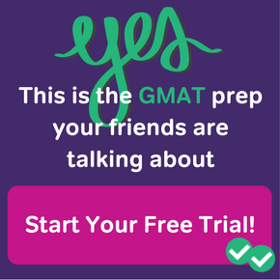 The GMAT excels at creating sui generis weakeners that draw on the unique specifics of the situation at hand.